Even the smallest water leak can turn into a major disaster. If you can determine that you have a water leak early, it will be much easier to fix and most likely much less from your wallet. However, most of these water leaks that occur are typically in areas where we don’t see. This is when a minor water leak can now turn into a massive clean up project. I’ve seen a small leak in a bathroom reservoir in an upstairs bathroom that barely leaked while a home owner was on vacation for a week. Upon their return, the downstairs portion of the property appeared as if it was actually raining inside. The home owners had their hands full with this extensive water damage clean up job. They were quick to call in the experts and start the entire water damage clean up process. I recommended a great water damage remediation company that my family has used in the past. The name of the business we used is Las Vegas Environmental Pros. In the example of a water damage horror story above, the water damage remediation process was extremely intense. The property owners were quick to reach out to the professional business that conducted the entire water damage clean up process from start to finish. The first line of business was to stop the leak or the source of the water. Then came the challenge of trying to remove the 2 feet of water that was in the bottom level of the home. What a major mess. Using specialty hoses and vacuums, the water was completely removed. The next stage in the clean up was to break out the dryers and start to dry out the entire home. During this stage, the drywall was cut about 3 feet up from the floors and all the carpeting and additional flooring was removed. This is almost always the case with a massive clean up project. Most likely, only tile floors can last through a major water damage situation and that’s not always the case either. All of the restoration and repairs were delicately handled and the water damage remediation job was a complete success. 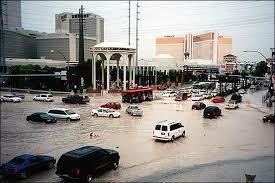 Another issue that water can cause here in the Las Vegas valley is from our summer monsoon storm season. Yes, Las Vegas doesn’t get a ton of rain. In fact, on average we receive about 4.17 inches per year. The problem is that most of that rain accumulates all at one time. With the ground here in the desert so dry, it makes it difficult for the rain to get sucked up into the ground. This leads to massive amounts of water draining towards neighborhoods and businesses alike. Once a flash flood hits Clark County, all kinds of water damage can and does occur. It is extremely important that the water damage projects get started as quickly as possible so things like black mold don’t appear. Category 1 – This is clean water. Water from a leaky pipe or sink overflows. This water does not pose any threat to humans. Category 2 – This water is referred to as “grey water” and can be harmful if drank or consumed. Category 3 – The water is more quick to move or be removed. Category 4 – Known to be the worst possible water damage and require the most attention to the water damage clean up process. Water damage remediation companies utilize the 4 above categories to best assess damage that has effected a home resident or business. It is most likely that when a business strip mall is hit with flood waters that the entire mall will suffer from extensive damage. It isn’t often that our valley gets snow in the winter, but it does happen from time to time. The snowfall and melting run off can really wreak havoc on our homes and businesses here in Las Vegas. The building codes are not made so that contractors have to build like in other areas of the country that receive continued snowfall. When a snow storm does occur, there is always damage as most of the roofs cannot handle the melting snow which is now water seeping into the roofs, attics and walls. 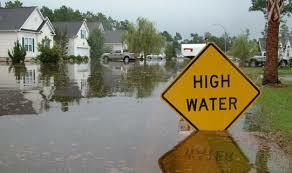 Water damage clean up is a must once these situations happen. The quicker they can be attended to the better. Las Vegas is a beautiful city located in the Mojave Desert. The city really is fortunate to not have to withstand major weather changes as other parts of the United States. It is the desert and desert storms come quickly and with vengeance. There are always climate caused water damage situations that will require water damage repair from professional sources.